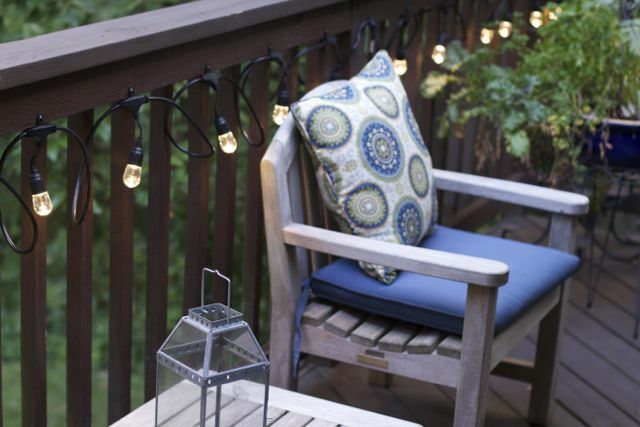 This post about How to Create Perfect Evening Outdoor Space is sponsored by Acorn Influence. All the opinions expressed are my own. With the cool temperatures of fall, also come earlier sunsets. 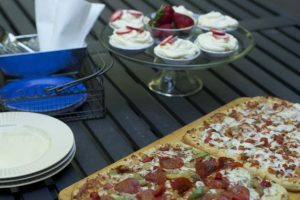 The days are getting shorter but fall is a great time to entertain outside. 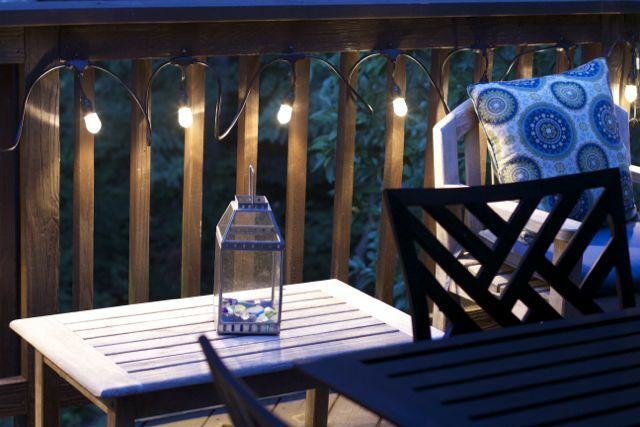 Unlike the summer where you could entertain outside without additional lighting, Fall nights need some additional lightening for your evening outdoor space. We love to entertain on our back deck while the temperatures all for it. 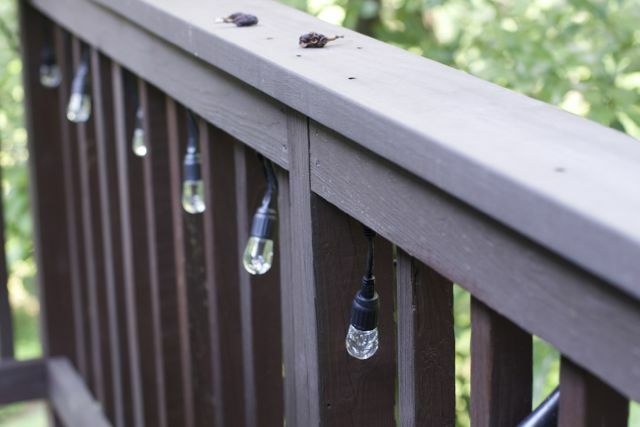 In the past I have used small christmas lights to lighten up the deck railing. 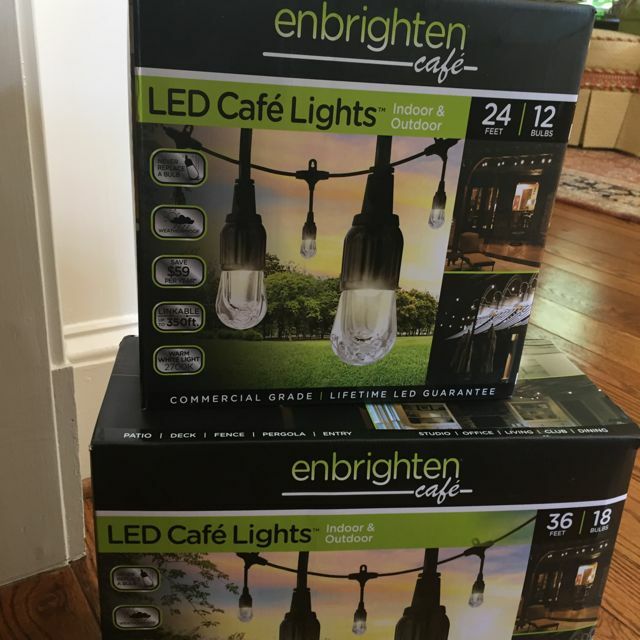 They eventually broke and I decided to try Enbrighten Café String Lights by Jasco. These are not your typical cafe lights, but lights that will can stay outdoors all four seasons. Creating the perfect outdoor space for fall entertaining is as easy as adding some great lighting and good friends. The Enbrighten Café String Lights took a little longer than just wrapping the Christmas lights around the decking, but these are here to stay. My husband graciously took on the task to get our deck ready for all our future entertaining. 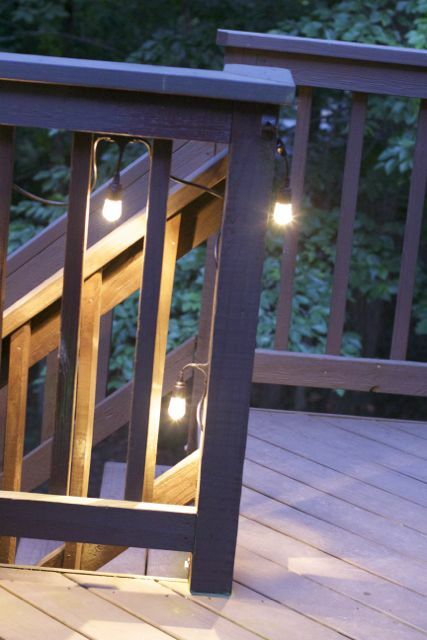 You can do a lot with these lights, from nailing to zip tying them and we decided to nail them to the deck. 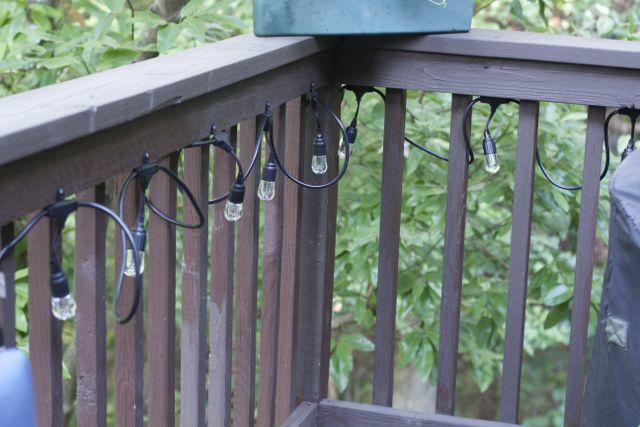 Initially, my husband was going to put them above the deck, like an outdoor cafe, but we did not want to risk heavy winds taking the lights down and did not want to attach them to our gutters. 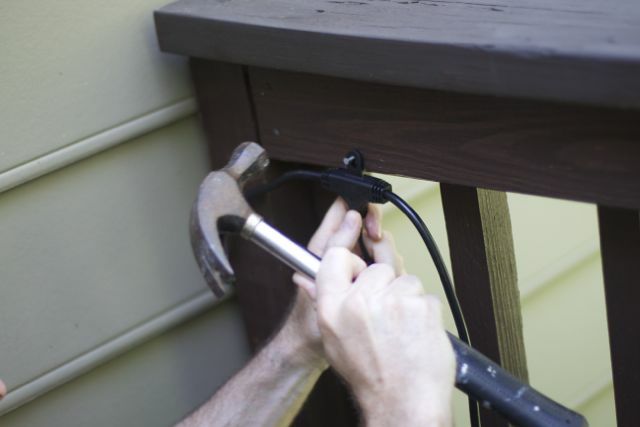 My husband simply hammered a nail into the decking boards to attach the lights. You can spread them up to 24 inches apart but we wanted more condensed light so we did about 12 inches. This leaves some extra cording but since the cord is black against or dark stained deck we were ok with it. The entire process for the 30 lights, 2 strands, took about 30 minutes and we are so excited about the outcome. 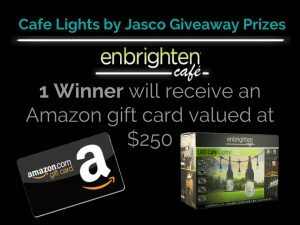 So why should you spend a little more for the Enbrighten Café String Lights by Jasco? I attempted to take some before and after shots with my camera, but the my inexperience of photographing in the dark actually made some of my before shots look like daytime. Here are the lights at dusk. 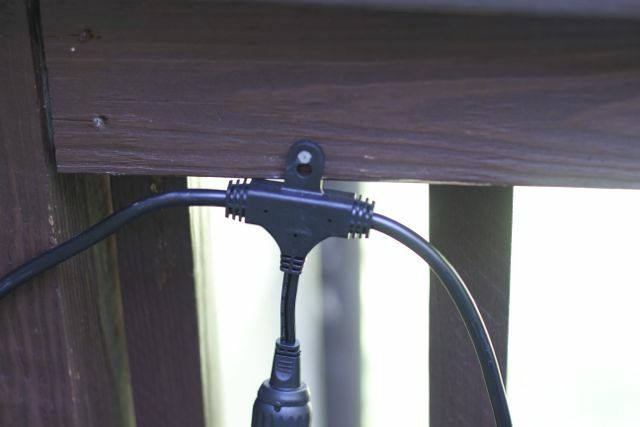 On the other side of the deck where my husband could reach the back boards more easily, we attached them behind the rails…. more ideal in my opinion. I love how they wind around the stairway providing much need light there. We are completely impressed and look forward to the weather getting a little less muggy so we can enjoy a meal outside at night in our brightly lit outdoor space. With the use of a TouchSmart Timer the lights will go on automatically. Even in the cold holiday winter months these lights will turn on by themselves! 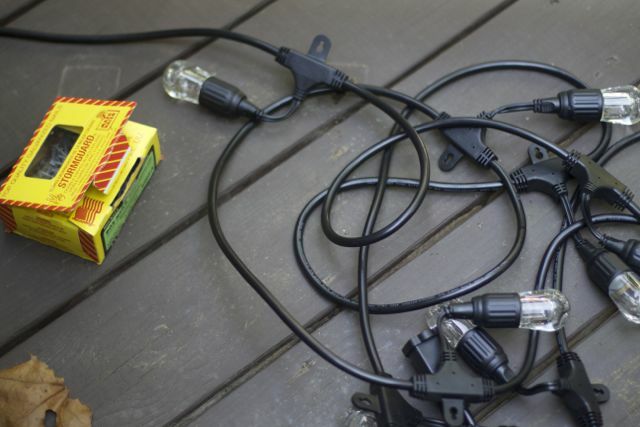 You can just plug in your lights and forget about them the rest of the year. 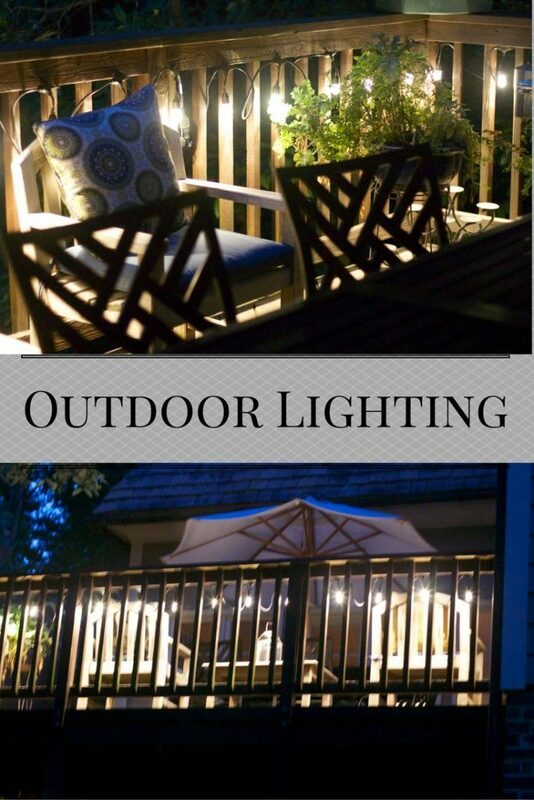 Now it is time to Enter to win a $250 Amazon gift card to buy your own lights to create the perfect Outdoor Space! Also enter to win a $10 Amazon Gift Card Here. Where would you add these great LED Cafe’ Lights? 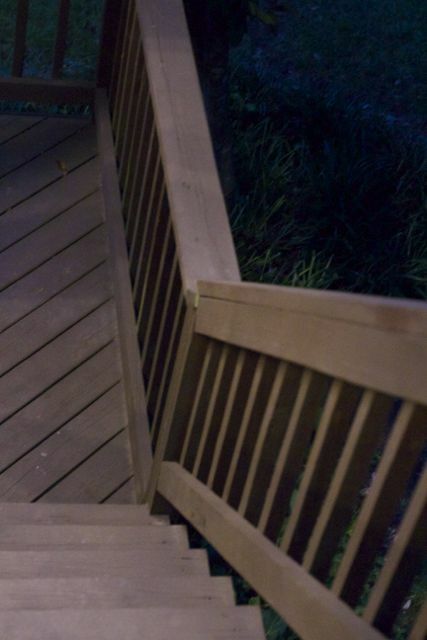 I’d put this on my deck…very nice! I would love to have them for my back deck. I would add then on the patio – it’s screened in. 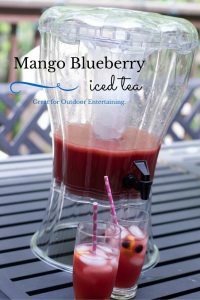 I would add these to my back porch and they would look so good! Omg just love it!!!!! I really do need to spruce up my outdoor chill area! What a terrific giveaway! I’m drawn to beautiful lighting as it adds great curb appeal to a property. Must check this one out for my home. I love these! We don’t have a deck like this yet, but I am hoping to add onto it next Spring and then we could really light it up beautifully with these! Those look really nice and very practical as well. I don’t have a backyard or a patio or I would certainly invest in these. Your deck looks amazing! So relaxing and nice! I really love that look. I think I would ike to add that type of lighting to our back deck in this new rental. We have a hot tub so this lighting would be almost perfection with it – be all romantic and stuff. Those would be great for our back porch and part of the back yard. I like that they add enough light for atmosphere without having full strength super bright lighting.